The Deep South Personal Care Home Auxiliary were gifted a cheque for $1,000.00 from the Lil’ Second Hand Shoppe in Radville to be put towards the kitchen renovation at the Care Home. Linda Bolton presented the cheque to our Auxiliary President Debbie Sheppard and we are very grateful for this gift. Our Ladies Auxiliary meet each month and try to help make life at the home for the residents as enjoyable as we can with our different projects. Special thanks to the Deep South Star for the picture contribution for our web site. This year’s Ladies Night Out was held on Thursday, May 28 at the Pangman School, with Anna Marie Willey as the main speaker. Anna Marie Willey presented “The Willow Tree” at the Pangman Ladies’ Night Out . She has presented this story several times and welcomes the opportunity to share it further. This story is based on Anna Marie’s unpacking her father’s kitbags from the Second World War. They had remained unpacked since his return from service nearly seven decades later. Inside the canvas time capsules, there were hundreds of images, diaries and much memorabilia to reflect upon and understand. Together with her brother, Paul and niece, Marie-Claire, they have written seven songs and combined the original music with images about John Winichuk’s time with the RCAF 427 Squadron based in Leeming, England. 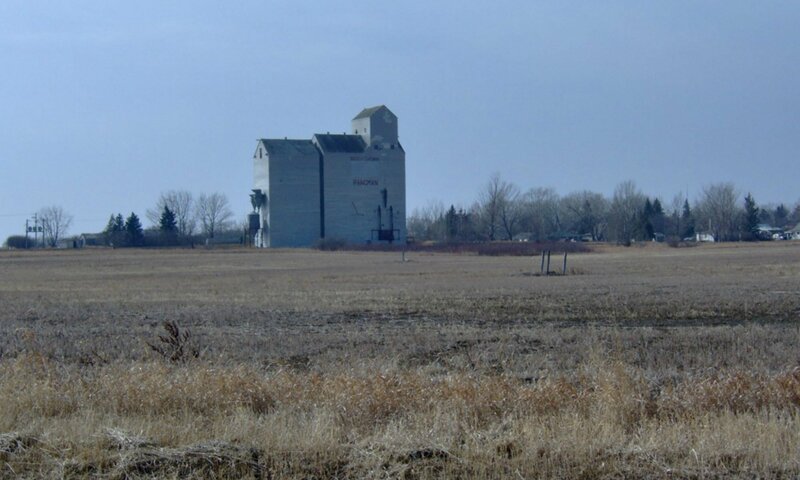 The story covers an important era, from the time he received his enlistment letter as a young man in Melville, Saskatchewan in 1941 until the time of his return in 1946. He passed away in 1987. “The Willow Tree” is a tribute to all who served and those who contributed in many ways at home during these difficult years. She notes her father’s story is only one of the thousands of those who sacrificed and served to provide us with the freedom we experience today. There was a good turn out at this year’s event with ladies from Ceylon, Ogema, Khedive, Trossachs, Regina & Pangman. It was a fun evening with many door prizes and gifts. The proceeds from the evening was gifted to the Deep South Personal Care Home Ladies Auxiliary for which they are so grateful–their work is to benefit the residents whenever they can to make their home more enjoyable. Thank you for Anna Marie Willey and Eileen Tunall for providing us with information for this article. The Ladies Auxiliary would like to remind everyone about their upcoming Soup, Chili and Bake Sale being held on Thursday, March 28, 2013 from 11 am to 1:30 pm at the Community Centre, Main Street, Pangman, SK. Come out for some delicious soup, chili and homemade baking. They would also like to thank Connie Lozinski and Debbie Kessler who always help out with baking. If you are interested in joining the Ladies Auxiliary they meet the 1st Monday of every month, 9 am at the Care Home. Congratulations to Susan Peters – winner of the Easter Gift Basket and Kathy Bryson-McCullough – winner of the Bunny Cake. Also, thank you to all who came out for the soup and chili lunch and helped make food etc. Be sure to get your tickets for this beautiful Easter Basket from the Ladies Auxiliary. There are many lovely items in this basket, including: Bath Towel, Hand Towel, Toffee Apple Cookies, Rose Scented Candle and more. Currently the basket is on display at the Hometown Cafe. You can purchase tickets for this raffle at the Hometown Cafe – 1 for $2.00; 3 for $5.00 and 7 for $10.00. The Ladies Auxiliary would also like to thank the community for their continued support. The Ladies Auxiliary would like to take this opportunity to thank each and everyone of you for all the great support you have given. Purchased birthday gifts and Christmas gifts that are presented to each resident. Raised money for new laundry cart, sheet sets, flowers and made flower beds. Kitchenware and recently a new gas convection stove. Thank you again and please continue to support us. We are currently looking for new recruits. The Auxiliary is a group of members who perform work for the Pangman Deep south Personal Care Home without compensation. Our next meeting is January 7, 2013, 9 am at the Care Home. On Monday, June 18, 2012 the Ladies Auxiliary presented Ginny Allewell with a gift basket for her many years of service as Treasurer. The Father’s Day basket winner was Val Madigan. This basket contained many great items for Dad, including: Measuring Tape; Tire Gauge; Flashlight and more. The Ladies Auxiliary has taken their summer break. They will be meeting again on September 10, 2012 at 9:30 am at the Care Home and are always looking for new members. The Ladies Auxiliary will be purchasing new furniture for the Resident’s Family sitting room. They would like to thank the community for their continued support and hope that everyone has a great summer. The Ladies Auxiliary hosted a Mother’s Day Tea on Friday, May 11, 2012 from 2 to 4 pm at the Deep South Care Home. About 70 people came out for a piece of delicious angel food cake with strawberries and ice cream. As well, many participated in the Cake Walk and won some homemade baking. The Ladies Auxiliary also had a raffle for a beautiful Spring Basket. They would like to thank all those from the community for their continued support. 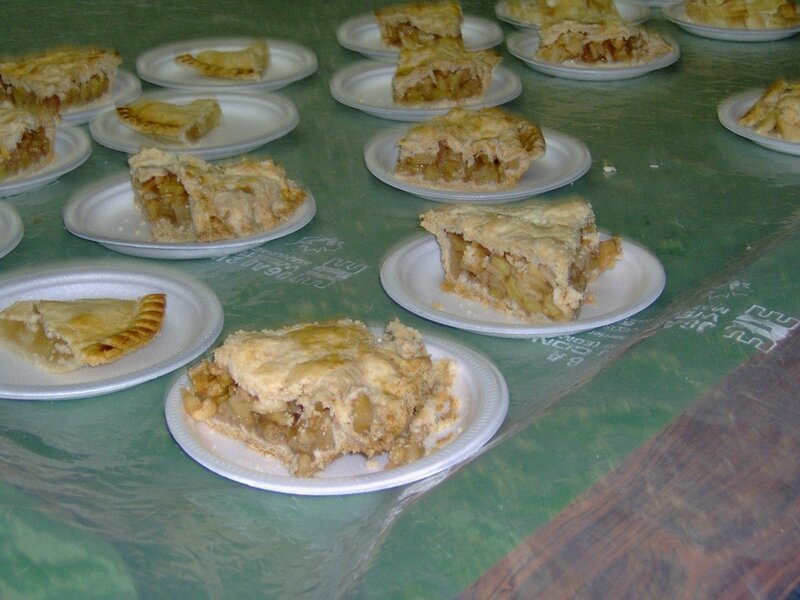 The Ladies Auxiliary hosted a Soup, Chili, Bun, Pie and Coffee lunch today, March 1st. 60 people came on this snowy day for this delicious $5.00 lunch. 21 take out lunches were delivered. As well there was baking there to purchase. The Ladies Auxiliary would like to thank everyone who brought soup-chili-buns and pies. Also to the ones who helped set-up and take down and serve with the lunch. A big thank you to the Ladies Auxiliary for hosting this lunch.